What does the sun have to do with skin aging? Pretty much everything. Sunlight contains harmful rays that penetrate into the skin and damages cells and tissue building materials like collagen. So, when you go out, defend yourself against ultraviolet rays of the sun by using good sunscreens. Sunlight is composed of many rays, some of which are visible, but others are invisible to human eyes. Ultraviolet rays are invisible rays that reach the earth and affect your skin. UV rays can penetrate glass and harm your skin, even when you are inside. There are two main kinds of UV rays that affect your skin. One is the long wavelength UVA rays, and the other is the shorter wavelength UVB rays. Most sunscreens are designed to provide optimal protection against UVB rays as they cause sunburn and have also been directly linked with skin cancer. UVB rays can vary in intensity according to season or location of the place. UVA rays on the other hand are always present at a uniform intensity and they can go deeper into the skin because of their longer wavelength. They damage skin cells and also destroy collagen, a structural protein that builds tissues and lends volume and suppleness to the skin. All these results in skin aging. This kind of damage causes the skin to lose its firmness and elasticity and the skin gets wrinkled and starts sagging. Cell damage also causes skin discoloration and age spots. Sunscreens can either be classical, chemical-based formulations, or they can be physical (mineral-based). Chemical sunscreens absorb UV rays and dissipate them before they can penetrate and damage your skin. Mineral sunscreens that use Titanium Dioxide or Zinc Oxide reflect and bounce off the UV rays from the surface of your skin. Sunscreens come with an SPF rating. Sun Protection Factor (SPF) indicates the level of defence against UVB rays the sunscreen offers. SPF 15 indicates that the sunscreen shields you against 93% of UVB rays that reach you. SPF 30 sunscreens defend you against 97% of UVB rays, while SPF 50 protects you against 98% UV rays. When you buy a sun protection cream, make sure that it is labeled Broad Spectrum, which means it is also formulated to provide protection against UVA rays. If you are going to be out in the hot weather for long, buy SPF 30 and above sunscreens, and sunscreens that are sweatproof. Apply your sunscreen every two hours to ensure maximum protection. Choose the sunscreen formulation based on your skin type. Creamy sunscreens are good for dry skins, while gel-based lightweight formulations are better sunscreens for oily skin. Does Sunscreen Really Prevent Skin Aging? A study that lasted for four and a half years in Australia used four groups in a research to determine the efficacy of sunscreens. The four groups in total consisted of 903 adults. At the end of the study, the first group showed significantly less signs of aging than even the group that were given sunscreens, but not specific instructions on how and when to use them. This is a broad-spectrum sunscreen, SPF 50 for maximum protection against sun induced skin damage. As with all other products from Kaya, this sunscreen is researched and developed by expert dermatologists. The formulation is suitable for all skin types - Oily, Combination, Dry, and Normal. The non-greasy formulation protects you against both UVA and UVB rays. It has been designed to offer the best protection against UVA rays that cause premature aging of the skin. It is free of Para-aminobenzoic acid or PABA. This chemical can sometimes cause irritation in sensitive skin types. So, you can use it without fear of harsh ingredients that can harm your skin. Kaya Youth Protect Sunscreen SPF 50 also contains Geranium, which is rich in antioxidants. This prevents damages caused by free radicals and keeps your skin young and supple. This sunscreen has a PA+++ rating and an Ultra Bootstar Rating of 5. Both indicate that the sun protection cream is highly effective in shielding you against UVA rays. To ensure maximum protection against photoaging or aging caused by exposure to sunlight, choose a sunscreen that shields you against both UVA rays and UVB rays, and also contains antioxidant ingredients that prevent environmental damage. Buy the best sunscreen for face as this is the part of your body that gets exposed to sunlight the most. Acne is a common problem and is hard to control. However, you can do so by using the right products enriched with potent botanical extracts. Skincare products that treat acne usually have ingredients like salicylic acid and mandelic acid that exfoliate skin and clear clogged pores to get rid of skin infections. 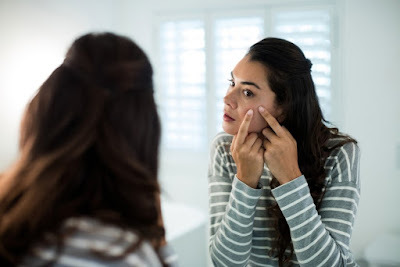 However, the best skin care products are the ones that also include a lot of powerful botanical extracts that don’t only eliminate acne but also soothe, heal and nourish skin to help prevent future acne breakouts. Burdock root is a useful ingredient to use in skin care. It detoxifies, purifies, and heals acne. It is also a good ingredient to include in pimple marks removal cream. It can also prevent skin dryness. This plant is best known for the oil extracted from it, which has a pleasant scent that helps calm the mind and relieve stress. However, Lavender also has antiviral and antibacterial properties. As acne is caused by a bacterial infection, lavender extracts are often used in skin care creams and lotions that fight germs. Aloe vera is primarily used for its soothing gel that helps heal wounds and skin infections. It is a powerful antibacterial, antifungal and antiviral agent. It is also helpful as a skin moisturizer that makes skin soft and smooth. It helps cure acne and and repair skin. It also promotes the growth of new healthy cells to replace the damaged ones. Tea tree oil has antibacterial properties. It is best suited for use in topical applications. It is used in many of the best cream for pimples, to kill the bacteria that triggers acne. Tea tree extracts can also soothe and moisturize your skin. It helps prevent further infections, hydrate your skin and keep you free of pimples. Chamomile tea is a herbal drink that is often used as a digestive aid and as a relaxant. Chamomile extracts have the power to clear skin of blemishes and keep it smooth and clear. Also, it is highly effective as a treatment for acne scars. Also known as pot marigold, this plant has long been recognized for its skincare potential. It is a powerful antiviral. It is also anti-inflammatory, so it can help reduce the swelling and redness associated with acne. Calendula increases blood flow which helps heal wounds and promotes cell renewal. It can thus be an effective ingredient in skin care products that reduce acne marks/pimple marks. Let’s now take a look at some of the best products that make use of these potent botanical extracts. Part of the Advanced Acne Care Kit, this cleanser helps heal acne and also prevents future breakouts. It contains salicylic acid that clears pores clogged by sebum buildup and dirt. It also contains olive oil, known for its skin moisturizing and nourishing properties. It helps in skin exfoliation, and give you smooth, blemish free skin. Use this powerful yet gentle cleanser along with Kaya Purifying Toner and Purifying Nourisher to maximize the benefits. This Blemish Control Formula contains many powerful botanicals. These include extracts of chamomile, burdock, and tea tree. These ingredients not only help in healing acne and other skin infections, they also reduce the scars and marks left behind by acne. This product can quickly reduce the size of your pimples and soon make them disappear completely. Then, they work to clear dark spots and marks and even your skin tone. When you shop for skin or hair careproducts, look for products that contains beneficial botanical ingredients. Kaya’s range of skin care products contain a lot of herbal extracts that help heal and nourish your skin. Read Kaya product reviews to find how these products have worked for others. With summer just around the corner, you need all the help you can get in protecting your hair from dryness and frizziness. Battles with sweat, dust, and pollution have to be won to keep your hair from being undernourished and dull. Lots of products and brands promise excellent results, but they often end up damaging your hair beyond repair. It is difficult to find a treatment or a product that can be trusted to keep your hair healthy and good. Luckily, Kaya hair treatment involves a series of products that not only make your hair shiny and lustrous, but also provide protection and care from external factors such as sun rays, pollution, and dust. Here is a guide to help you understand why Kaya hair treatment is the best in what it does. Read on to find out how Kaya Hair products help you in fighting dry scalp, undernourished roots, hair fall, and other hair-related problems. Kaya Skin Clinic has been known for its best treatment and care of skin. This is also true with hair care since they focus on the root cause of the damage and then decide on the proper treatment for it. Kaya Ultimate 360° Hair ElixirTherapy is essentially for people who suffer from dry and dull hair. Dryness can be caused due to multiple factors such as dust, pollution, heat, and weather. This causes dullness and lifelessness in your hair. In such cases, Kaya Ultimate 360° Hair Elixir Therapy is the best solution since it treats your hair from the root to the tip. ● The Kaya Ultimate 360° Hair Elixir Therapy includes targeted treatment to nourish your hair and to keep your hair healthy. It addresses problems like undernourished roots in a gentle manner. ● It consists of a combination of vitamins, phytonutrients, minerals, and few nourishing oils -- that are essential and play an important part in rejuvenating your hair. They stimulate healthy hair growth, frizz control, and keep your scalp clean and healthy -- making it the best dry scalp treatment. ● This therapy includes Kaya hair Treatment that strengthens your hair from its root and thus reduces hair fall and hair breakage. It provides the necessary nourishment to your scalp, preventing it from premature ageing and deals with sebum control. ● The Kaya Ultimate 360° Hair Elixir Therapy prevents dryness along the lengths of your hair, giving it more bounce, shine, and volume. Kaya Root Regen Range is basically for hair fall and thinning. 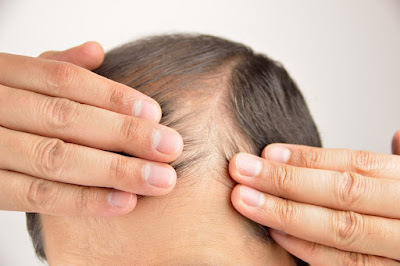 Hair loss is common with age and it depends on the lifestyle, diet, and environment. With proper treatment and the right care, hair loss can be resolved. Kaya Targeted Root Regen System is designed primarily to address this issue. It is a targeted regenerative process of hair growth that involves diagnosis, treatment, and care. It is considered the best hair treatment as it directly targets the cause of hair fall and delivers essential nutrients to your hair roots. Kaya Nourishing Shampoo is the best shampoo for hair and contains hibiscus extracts and almond oil that reduce hair fall and remove dirt and oil easily. It is mild and gentle for everyday use and proves to be the best way to take care of your hair after the regen treatment. It cleans your scalp effectively and leaves your hair shiny and healthy. Almond oil induces strengthening and thus reduces the frequency of hair breakage. Hibiscus extract provides lustre and shine to the hair. Another effective part of the Kaya Root Regen Treatment care is the Deep Conditioning Masque. It is filled with the goodness of extracts of superfoods such as basil root, sugarcane, lemon, and apple. This conditioner provides smoothening and prevents hair breakage. It is known to drastically reduce friction on the hair surface and thus helps in bringing down hair fall. It also provides protection from harsh sun rays and pollution. Hair loss is a problem that everyone has experienced from time to time. In some people, this condition can be very severe. Diagnosing the cause of hair loss and designing a treatment that targets the cause and encourages healthy hair growth is the best way to deal with this problem. Consult expert hair doctors at Kaya to find the ideal solution. Hair loss in men might have a lot of causes - dust, pollution, Androgenetic Alopecia, certain illnesses, side effects of some medications, and many more. However, if your condition is not severe enough for a hair transplant, there are other treatments that you can opt for. Here’s what you need to do. Locate your nearest Kaya clinic and set up an appointment. An expert hair doctor will ask you about your problem, examine your hair and scalp, and diagnose the main cause of your condition. The hair doctor will then recommend the best tailor-made solutions based on the diagnosis. Once you familiarize yourself with the details of the treatment, you can fix a day for it. One of the most common therapies used in treating hair loss is the very effective Kaya Targeted Root Regen System. 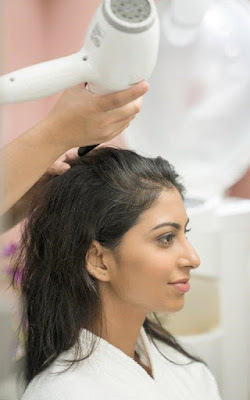 This procedure targets the cause of the problem and reduces hair fall. Kaya expert hair doctors designed this therapy to directly target and rejuvenate weak hair roots. It is a four-step non-invasive procedure. It uses injections and light laser treatments to deliver nutrients to hair roots and to help stimulate hair growth. An expert hair doctor executes this treatment. 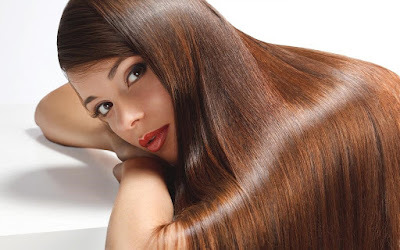 Using micro-injections, a powerful mix of plant extracts, nutrient cocktails, and vitamins are delivered to the hair roots. Hair follicles get revitalized and become healthy. Hair loss is arrested and new hair begins to grow. Platelet-Rich Plasma therapy is a safe and effective procedure used to treat many hair loss conditions. This is a US FDA approved treatment. Blood plasma is extracted from the person undergoing the treatment. This plasma is rich in growth factors. Hair doctors inject the PRP into the scalp. This helps even the small hair follicles to recover which in turn stimulates new hair growth. The delivery of vital nutrients to hair roots continues with this procedure. Charged ions help deliver a set of powerful nutrients through the skin. These further strengthen hair roots and prevents hair fall and hair thinning. This step involves light laser treatments to stimulate blood flow to the scalp and activate cells in the scalp. These in turn stimulates hair follicles for the growth of new hair shafts. After this four-step treatment, a good follow-up regimen is prescribed to enhance the effect of the treatment and to encourage hair growth. A set of nutritional supplements are provided to further enliven the hair follicles. A diet that contains foods rich in certain nutrients like proteins, zinc, calcium, iron, and vitamins is advised to help enhance the effect of the Kaya Root Regen Treatment and the nutrient supplements. Kaya Targeted Root Regen System is an effective hair loss treatment that can treat and stop hair loss and encourage new hair growth. If you follow the diet advised, take the prescribed supplements, and setup follow up visits, you may soon recover your full scalp of shining thick hair. The hot sun combined with the high levels of pollution can spell troubles for your skin. You can beat this and give your skin a good tonic in the form of a beauty facial. A beauty facial does more than just removing the tan and lightening the skin tone. If you’re a would-be bride, get the perfect glow by pampering yourself with Kaya Lighten and De-tan facial. The facial is sure to add to your bridal glow. The harsh sun and the exposure to pollutants is your skin’s biggest enemy. The result is dull-looking skin. The best way to perk up your skin health, de-tan, and restore the natural glow is through a regular facial. Booking one, once a month pampers your skin and gives you total relaxation. More so if you’re a soon-to-be bride, it’s all the more necessary to get a facial done, so that your bridal blush and glow complement each other. The Lighten and De-tan facial from Kaya Skin Clinic is one of the best options you have. Read on to know more about the different types of facials offered by Kaya. Kaya offers dermatologist-developed facials to suit specific skin needs. There is a facial for each skin type. Dermatologists at a Kaya clinic will test your skin to know the causes of its damage. They then will recommend the right facial for you. Kaya Clear Fresh Oil Control: This is a facial for oily skin that makes use of botanical extracts to remove impurities and bring down sebum secretion. Kaya Hydrate and Restore Facial: If you’re a bride with dry to normal skin, then this is an ideal pick for you. This facial for dry skin moisturizes your skin and makes it glow. Kaya Lighten and De-Tan Facial: Sun rays are your skin’s worst enemies and if you have dull and tanned skin, then this facial will create magic for you. It exfoliates your skin and helps it to revive its lost glow. The BioWhite complex improves skin complexion—just what you need on, one of the most important days of your life. Kaya Derma Regen 4 Layer Therapy: Considered to be one of the best facials, this one works in four layers to give you rejuvenated and revitalized skin. ● Collagen is what retains the elasticity of your skin, keeping it firm and supple. The Kaya Derma Regen 4 Layer Therapy improves skin elasticity and makes your skin glow. ● Cleaner, fairer and acne-free skin is the result of Clear Fresh Oil Control facial. This helps to deep cleanse, open up the clogged pores, and prevent acne breakouts. ● Kaya De-Pollute and Nourish facial expels all the accumulated toxins, dirt, and grime. Regular facial enhances blood circulation and makes your skin look young. The increased blood flow, makes the skin appear radiant with the added benefit of evening out your skin tone. A range of facials, suited to every skin type is offered at the Kaya Skin Clinic. 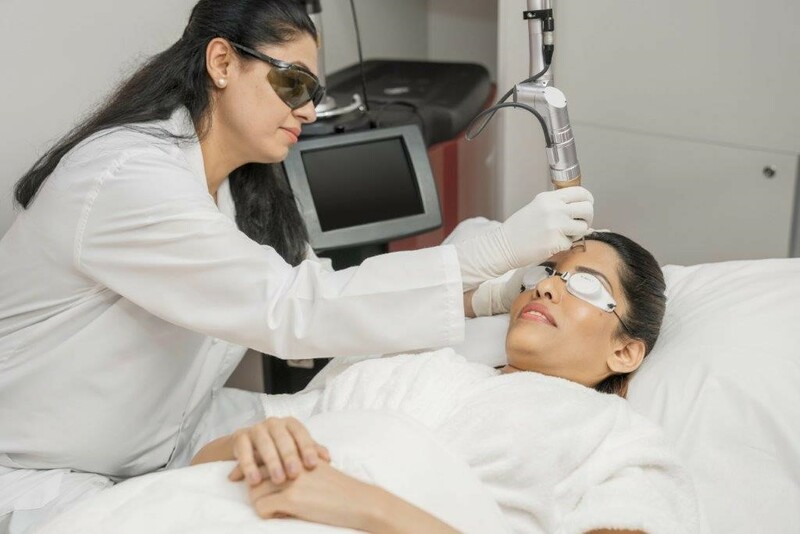 With focus on hydrating, nourishing, and restoring the skin to its natural glow, the facials are a must-do not only for the bride, but for every woman out there who desires to have radiant and youthful skin. Book an appointment today to look your best on the D-day with Kaya. Give you Kaya feedback after availing any of these facials in the comment section below.